SafeConnect, owned by Impulse Point, LLC is a university network system utilized across the nation and in Minnesota. In order for students to connect to the internet while on campus, students log on to the SafeConnect system. So what’s the problem? 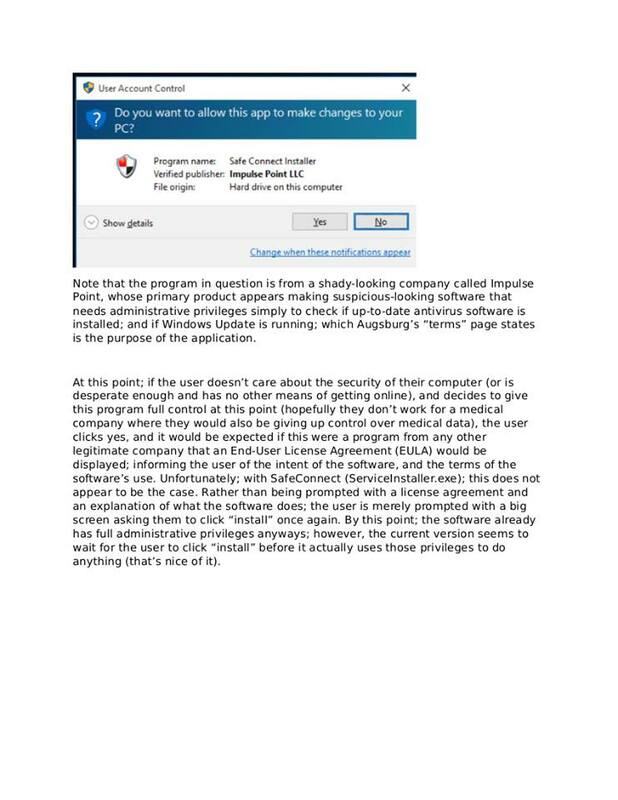 In working with SafeConnect, students are reporting that the system gives full administrative control over a student’s personal computer to software developed by a company called Impulse Point. This means that Impulse Point, if prompted by government, could covertly and remotely turn on a student’s webcam, access all documents and files on a student’s computer, and modify or delete any piece of information on the student’s computer. Although Impulse Point claims not to be used for these purposes, the fact that it has the capability to take these actions should be concerning, particularly in light of published Snowden documents. Students and professors across the US are beginning to look into programs, such as Cisco Clean Access, SafeConnect and others. These companies are employed by universities to satisfy the legislative mandates of securing a private network for their college. To understand the scope of colleges and universities using SafeConnect within the last three years, the following schools came up on a simple search within that time frame: Inver Grove Heights Community College, MN; Augsburg College, Minneapolis; Coastal California University, Yeshiva University, NYC; Sacramento State; University of New Haven; University of Nebraska-Lincoln, La Salle University, University of California – San Diego and Santa Cruz; University of Missouri – Kansas City; Presbyterian College, SC; University of North Florida, American University, Georgetown University, University of North Dakota, and Boston University are using SafeConnect to secure private network and fulfill legislative mandates. No doubt there are many other colleges who employ SafeConnect. 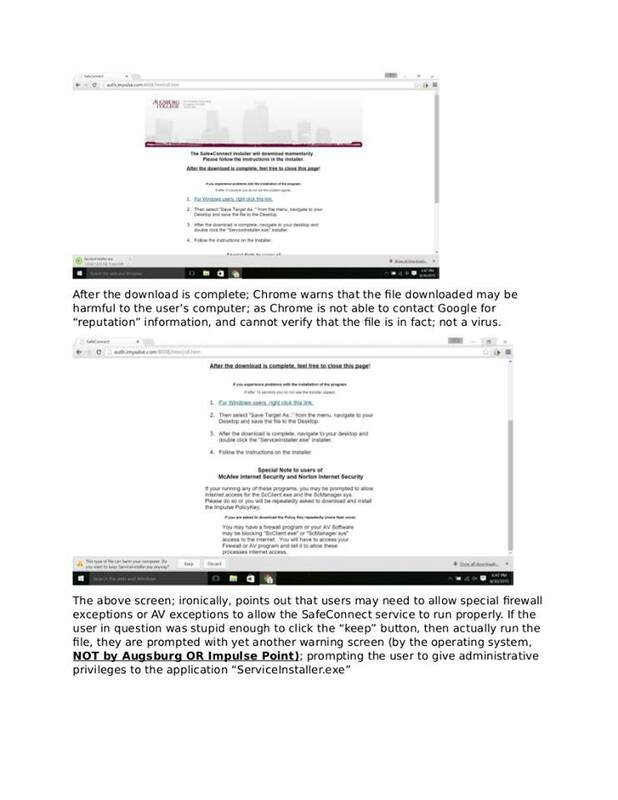 Recently, students at Augsburg College in Minneapolis authored a petition against SafeConnect, a university internet network system utilized in universities across the nation and in Minnesota. 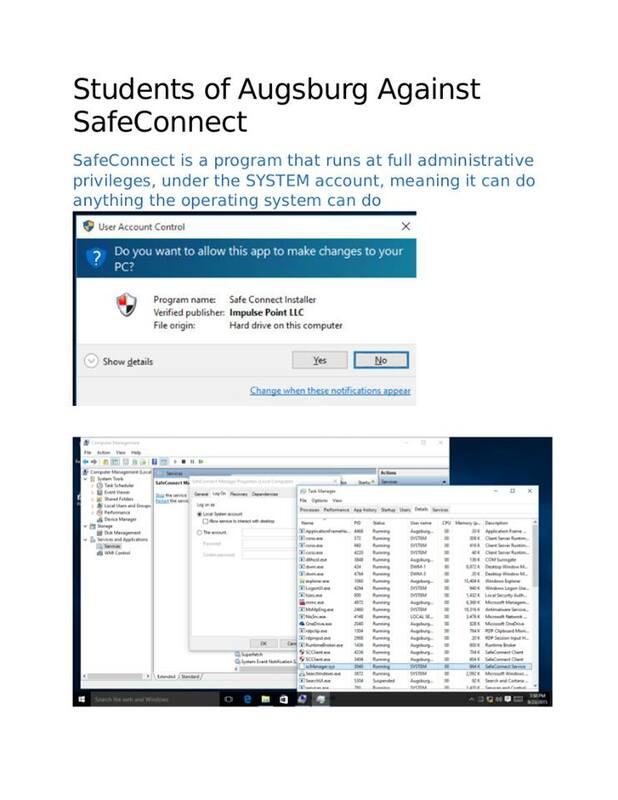 Students of Augsburg Against SafeConnect state that SafeConnect is a program that runs at full administrative privileges, under the SYSTEM account, meaning it can do anything the operating system can do. 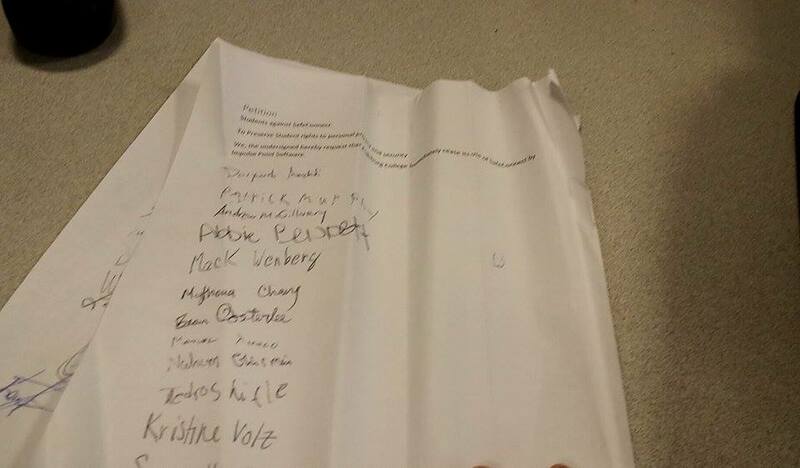 Students and faculty have signed the petition. 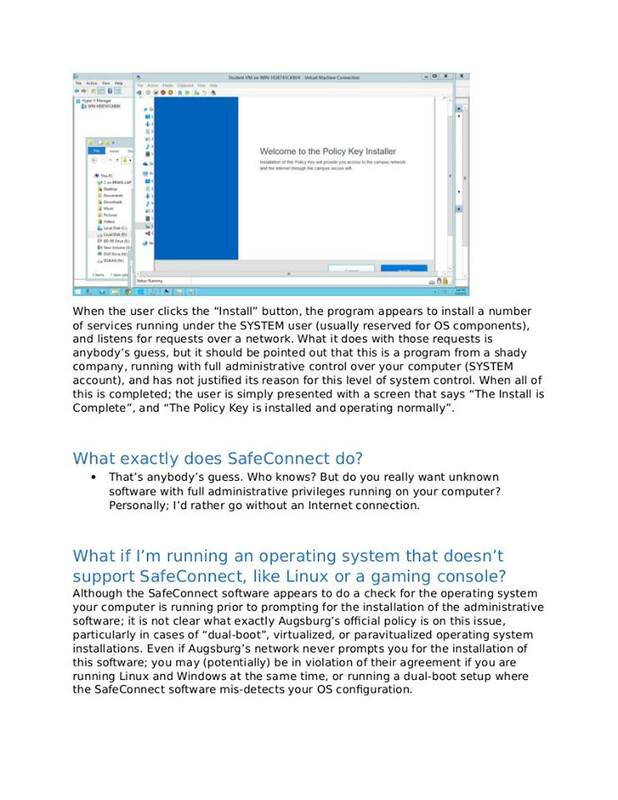 In In In “Safe”Connect Part II: We’ll take a look a closer look at how the program actually works and remotely takes over one’s computer. 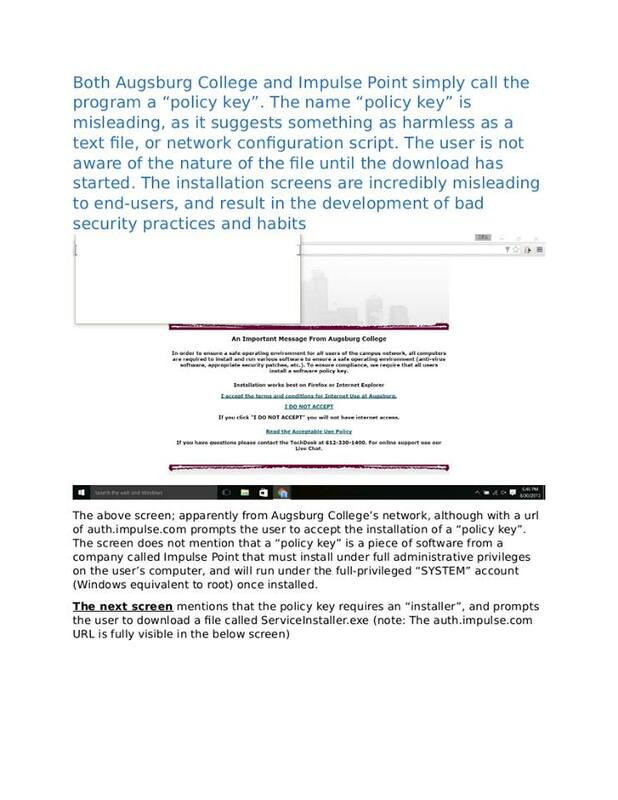 SafeConnect appears to be a program designed for covert remote access to a student’s personal computer. Should universities and colleges be able to install spyware/remote access tools on a student’s personal computer? Students have a right to privacy regarding their own personal property and particularly in a university setting where many students live on campus. Americorp Volunteers: Helping ‘Promise Land’ Communities Succeed or Experts in Data Collection? 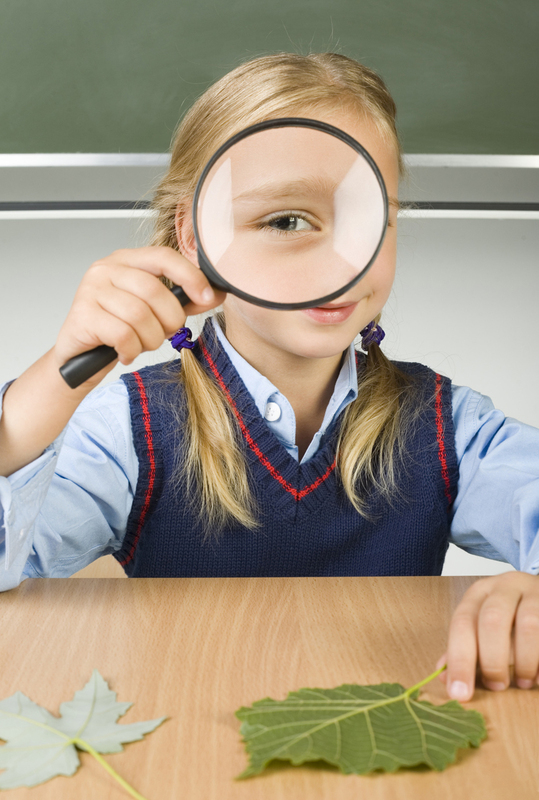 A parent recently inquired about their child receiving a letter from an AmeriCorp volunteer at their school district regarding extra tutoring because their child’ s standardized test scores were “below average.” The child, however, had better than average grades in the classroom. The parent reported that little, if any information was given to them about AmeriCorp volunteers, much less how they acquired information on their child who appeared to be in need of such services. Minneapolis was among eight new “Promise Zones” throughout the U.S. In short, “the city can get a leg up on the competition when applying for federal grants that create jobs and help close the achievement gap” according to CBS Minnesota. Essentially, these “zones” are federal designations in an effort to effectively move parts of a city to the front of the line by way of obtaining federal help in tackling poverty. This is the second year in the making of “Promise Land.” The Obama administration named the following five communities in 2014: San Antonio, Los Angeles, Philadelphia, southeastern Kentucky and the Choctaw Nation of Oklahoma. 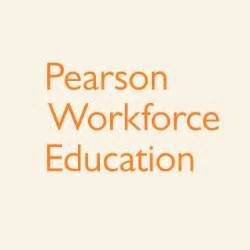 While job training, property redevelopment and transportation improvement is at the forefront, so are educational programs such as Universal pre-K for 4 year olds: a program that is gaining a lot of attention on all sides of the isle – not just cost, but concern over potential mandates that may ultimately lower the compulsory age from 7 to 4, as well as the highly controversial need for Unionization of daycare workers and in-home daycare to meet the Common Core-aligned standards via Race to the Top: Early Learning Challenge grant that Universal pre-k demands. This language is already spelled out within the aligned Common Core Standards found in the Race to the Top: Early Learning Challenge. You can also see it in the current Minnesota house bill 1527 that will reduce the compulsory attendance age from 7 to age 6. We saw this in Chicago, Illinois back in 2013 with the reduction of the compulsory age also from 7 to age 6 passed by the Senate due to all-day Kindergarten. Standing alongside Mayor Betsy Hodges and Governor Mark Dayton, Secretary Arne Duncan stated he can’t “promise” there would any federal funding to help Minnesota make Universal pre-K happen. With the legislative session heading to a close, some are curious if this will somehow be slid in by way of the Omnibus K-12 education policy and finance bill. If you look at the HUD.gov “Promise Zone Overview,” you will see that nearly the entire program is nothing more than a federal pilot project – that by having so many U.S. departments involved, and if you didn’t know any better, could actually serve as a blueprint similar to the tales of “The Hunger Games” or “The Giver.” For starters, here’s a list of benefited federal partners: U.S. Department of Housing and Urban Development, U.S. Department of Agriculture, U.S. Department of Commerce, Corporation for National and Community Service, U.S. Department of Education, U.S. Department of Health and Human Services, U.S. Department of Justice, U.S. Department of Labor, National Endowment for the Arts, Small Business Administration, U.S. Department of Transportation, and the U.S. Department of the Treasury. Hmmm…”Corporation for National and Community Service.” Here’s where I will step in. I did a two year stint for AmeriCorp VISTA (Volunteers in Service to America). I’ll share with you on what I experienced having this volunteer designation at one time. But first, here’s a little more background. AmeriCorps VISTA was first enacted in 1963, by President John F. Kennedy who envisioned a national service corps “to help provide urgently needed services in urban and rural poverty areas.” Two years later, President Lyndon B. Johnson realized Kennedy’s dream and launched what was called the “War on Poverty.” VISTA, like Head Start and other antipoverty programs, was created by The Economic Opportunity Act of 1964 in order to serve the needs of the poorest Americans. The program has since grown now having over 8,000 members while serving in over 1,000 projects nationwide. There are different designations of AmeriCorp. Depending upon the applicant’s background, work experience, schooling, etc. volunteers may be trained to tutor youth (ie: Reading and Math Corps), work in emergency disaster situations, aid seniors or hired to recruit volunteers for community programming. As a VISTA volunteer it was my job to recruit, train and increase volunteer retention while working directly with school liaisons, teachers, district heads as well as local organizations to train volunteers with the purpose of increasing numbers and quality of programming. I was told by AmeriCorp that at least 60% of my time was to train, and to then bring that information back to the organization I represented in order to help grow their programming. Many of the sites targeted are those with high numbers of poverty in which a school can be a primary focus of interest, particularly with students struggling with reading, math and test scores. For example, while I worked for a non-profit in the Western suburbs, the program itself actually operated out of the Minnesota Literacy Council in Saint Paul. From there we were run by the Corporation for National and Community Service. Basically, AmeriCorp offers their entire volunteer services under the umbrella of our government. Many often misconstrue AmeriCorp volunteers as government paid “employees.” While we were required to work a minimum of 40 hours per week, we are considered a volunteer at the site who hired us for the year and benefited a government subsidy of a small monthly stipend at barely $900/month. Because the stipend is below the poverty level and you cannot take on another job during your year of service, volunteers themselves are encouraged during initial training to participate in government run subsidies such as SNAP, EBT cards and health care so that they ‘feel what it’s like’ to be part of this system (and yes, we were told this during training). If the volunteer is receiving social security or disability, they may continue to have those benefits during their term of service. Many AmeriCorp volunteers are college students fresh out of school and are in need of job experience or may be taking a year off before getting their Masters. Others, like me at the time, may be between jobs. All volunteers are subject to a government background check and passing that check for clearance to be hired for their volunteer position. Upon the volunteer’s one year completion at their site, one is given a government stipend to use towards college only in the amount of $4,000, or, volunteers may take $1,200 at the end of their term of service. It is sold as a wonderful opportunity to serve your country and the community while building your resume. While the intentions are good – and for me personally the experience was very satisfying in the connections I made with families – sadly, we were purely set out to sites as data minions. Everything collected eventually makes its way back to Washington. This includes site volunteer information that AmeriCorps volunteers recruited as well as information about the children they are serving and even their families’ information. How do I know this? Because as the years progressed, the questions we were required to ask of children and families got more personal. From reading scores and stats on how often a child showed up for tutoring to criminal family background information – and yes, one could say that included ‘hearsay’ from social workers or even the parents themselves if they disclosed it to us. Not only were we asked to survey children as young as 3rd grade about our programming, but also our beloved site volunteers that we hired to work with students and young children. This first started out as non-identifiable, paper surveys and quickly went into a 3rd party electronic survey site that was not confidential, nor private. We were often put into positions that clearly some were not qualified to be in the first place, only that we continually collected and recorded data. The amount of information collected was obscene and reported on a strict quarterly basis. Often reports were over 20 pages long that included questionnaires, supplements and written documentation. It was, and is, in fact, the perfect way to set up data systems for organizations. Which some may argue is helpful, but did parents of children being tutored or even the volunteers themselves know that their information was going to be shared or even jeopardized at some point? For those that agreed to have AmeriCorp volunteers at their site, they likely went through AmeriCorp supervisor training and every site that has AmeriCorp volunteers had to apply and meet certain criteria in order to have them in their community, nonprofit or school environment. I recall our site did have Minnesota Reading Corps (another AmeriCorp volunteer stem) one summer alongside summer youth camps. There is also Minnesota Math Corps as well to assist with math tutoring. I will tell you this, looking back, I saw Common Core before we even understood what it was. We had well-respected, retired teacher volunteers that were limited in tutoring children in the math and even reading because they themselves didn’t understand the latest concepts being taught. Some of the schools at that time (and this was in 2008), were not allowing children to bring home text books to do homework frustrating parents as well as the volunteers for months on end. Eventually we had to enlist in the help of current teachers for guidance on after-school programming, which ultimately, was short lived. We were already taking up an immense amount of teacher’s time after school and often had to rely on a school liaison for information. It was very clear, however, that teachers KNEW THEIR STUDENTS, their potential as well as what needed improving. Reading was also difficult to establish as many schools no longer teach the basics. 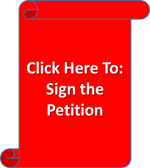 Only in recent years are we now seeing the light shed on Common Core standards that was edged into our schools via Race to the Top (RTTT), the NCLB waivers as well as the lingering threat of HR5. Remember that even though our state of Minnesota has not formally adopted Common Core math, it is aligned in all the publishing companies in the books the schools use as well as standardized testing. When a parent shared with me their story on how their child was called out for ‘below average test scores’ I suggested they first and foremost ask the school HOW the AmeriCorp volunteer acquired THEIR child’s information! Parents: Did you sign anything at the beginning of the school year from a teacher? Did you receive a disclosure from a teacher or school principal that AmeriCorp volunteers would be in the school AND was there an opt-out option? Is there a school liaison that is working with the AmeriCorp volunteers and/or any organizations that may be part the school district? Parents were told that their child would be pulled from class for tutoring for 90 minutes and during regular classroom time. Should this be the case in your district, including after school programming parents need to find out why. Of course parents want their child to succeed, but at what cost in the information collected on their child. I’m not sure what “Promise Zones” will be providing for our children and their families other than a land of more comprehensive data mining and pure compliancy under the guise of numerous federal departments. These people’s lives will be completely under a microscope. However, isn’t that something in of itself that is already here for the rest of us? This also reminds me of something that civilizations have always fought for: Land. As Americans, did we ever think we would have to fight for our freedoms again? The “Promise Land” agenda falls perfectly in line with Arne Duncan’s dream of children in school 6-7 days a week, 12-14 hours a day & year round. Is this what the people of Minneapolis envisioned when they were the chosen ones to partake in the “Promise Land”? We have more talks coming up soon! TOMORROW, is the Minnesota Libertarian Convention, April 24th at the Cambria Suites in Maple Grove. Linda will be speaking at 5:30 on Common Core: Why is it Bad for America? 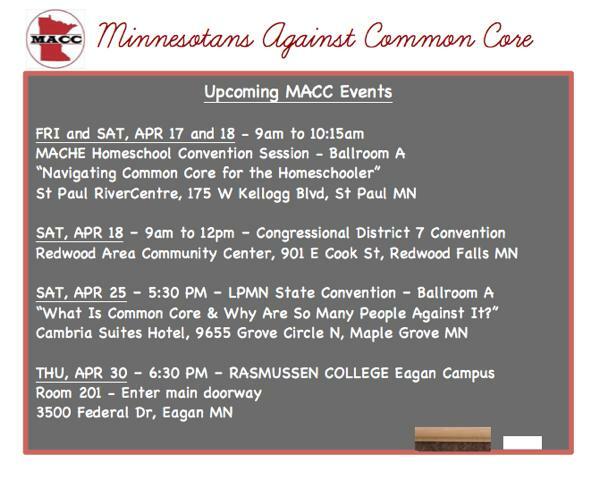 NEXT WEEK, Thursday, April 30th, we are at Rasmussen College – Eagan in Room 201 at 6:30pm. We connect the dots, from federal and corporate mandates to state and local implementation. Please attend to get the WHOLE PICTURE!